Does your child play an instrument or take part in a music playgroup? Read more about the benefits music. A fun activity to keep the kids entertained whilst visiting your local zoo. Here are some games and ideas to teach kids, between the ages of 3 and 13 years, about money. Order your THINKER BOX before the end of the month to take advantage of current prices (R495 for modules under 12 months and R575 for modules over 12 months). Prices set to increase on 1 March 2014 to R625 for all modules. Email info@littlethinker.co.za to place your order or for more info. Simple painting activity that works on co-ordination and is perfect for Valentines Day preparation. 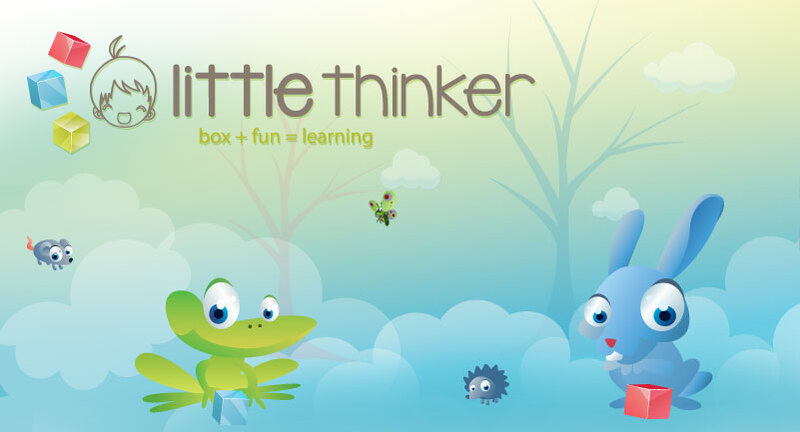 Little Thinker's corporate identity has been selected by LIT Creations as one of their top designs for the year. An article by Anel Annandale, a registered Educational Psychologist. Like our Facebook page and stand a chance to win complimentary tickets to the Baba Indaba Show at Nasrec from 30 August to 1 September 2013.